Professionally shrink wrap packages for just pennies per package. Simple three step operation. No warm up required. Enhance the appearance and value of your product, by protecting it against dirt, dust, moisture and handling. Sturdy industrial quality. 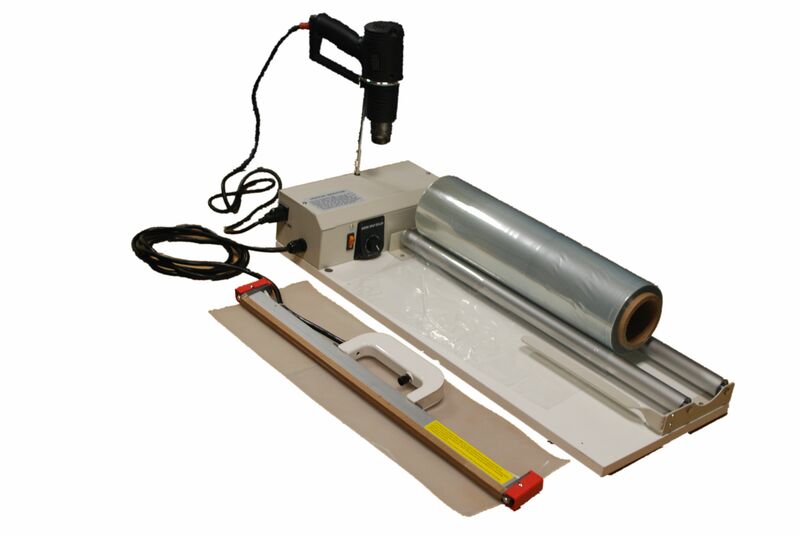 System includes: I Bar Sealer (300mm, 450mm, 600mm,800mm or 1000mm Lengths), timer, Film roll, outlet plug and spare kit. Heat Gun and shrink film is option.